You either love or hate Cilantro. But, if you love it, then this hummus recipe is for you. 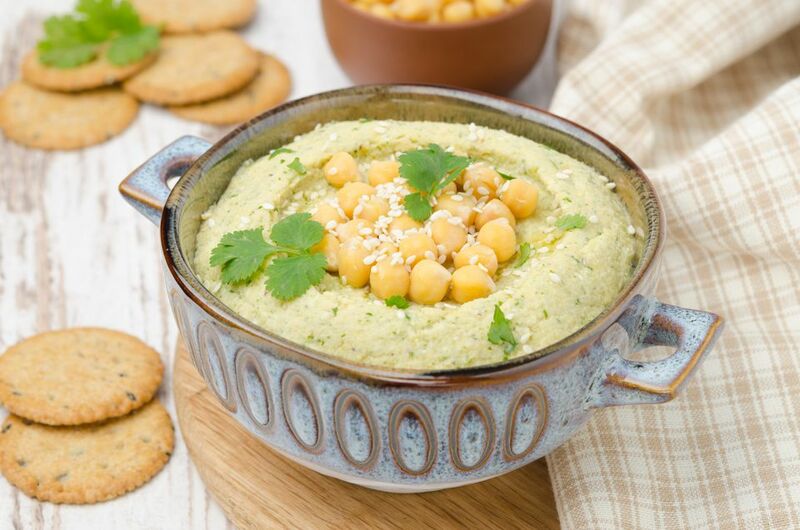 And, if you're not, then maybe you'll become a fan after tasting this smooth hummus that's met with a sweet, pungent lemon flavor with a cilantro twist. Drain chickpeas and set aside liquid from the can. Combine remaining ingredients in blender or food processor. Add 1/4 cup of liquid from chickpeas. Blend for 3 to 5 minutes on low until thoroughly mixed and smooth. Place in serving bowl, and create a shallow well in the center of the hummus. Add a small amount (1 to 2 tablespoons) of olive oil in the well. Garnish with extra cilantro (optional). Serve immediately with fresh, warm or toasted pita bread, or cover and refrigerate.